If you're old enough to remember WWII and write well in German, then Amazon would like to talk to you. 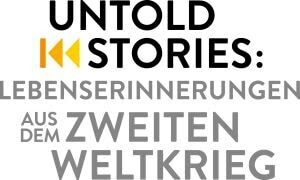 Self-Publisher Bibel reports that Amazon has partnered with the National Geographic channel in Germany to sponsor a writing contest titled "Untold Stories: Memoirs of the Second World War". Witnesses and their family members are invited to record their personal memories of the Second World War for posterity. We are looking for stories about love, goodbye, cohesion in times of need, but also escape or expulsion, in a text with a maximum of 5,000 words. The stories will be judged by an independent jury, and the best 70 stories will be published in an anthology. The anthology will be published on 2 September in the Kindle Store for 2.99 euros, and a small selection of the more moving stories might also be published individually as Kindle Singles. The winners will each get 10 print copies of the book, but the proceeds from the sales of the books will go to a charitable foundation. Writers have until 15 August to submit their story, which they can do by visiting Amazon.de and filling out the form. That is very short notice, especially when compared to the other writing contest Amazon is sponsoring in Germany, but the timing is key. Japan announced its surrender on 14 August, and 2 September marks the 70th anniversary of Japan signing the formal surrender documents which ended WWII.